Consider the Oyster by M.F.K. Fisher (paperback, £9.99). Out now. A book originally published in 1941 about oysters does not sound like a immediate must-read, but to forego Consider the Oyster for that reason would be a mistake. Fisher is funny – seriously funny, sometimes meanly funny – and her voice is still fresh and vibrant, full of anecdote, advice, and gossip, imparting wisdom on life and oysters through a series of short chapters. It’s a delightful, indulgent slice of good, funny writing, with an excellent introduction from Felicity Cloake that frames and prepares Fisher for a modern reader. Worth picking up whether you are a seafood devotee or shudder at all things marine (like me) and an ideal Christmas gift for the book lover in your life who has read everything. 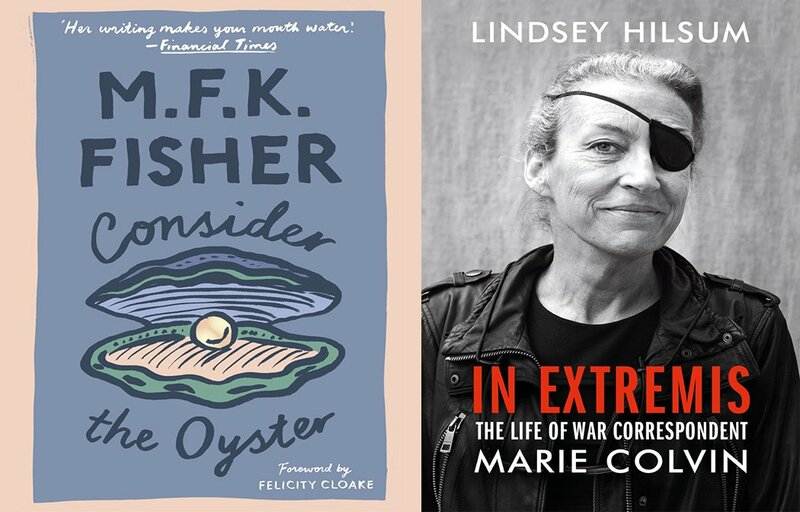 In Extremis: The Life of War Correspondent Marie Colvin by Lindsey Hilsum (hardback, £20). Out now.